The Galloway Gazette continues its look back 100 years to the time of the Great War and the stories that were making the news at that difficult time. With the arrival of conscription, men called up could only get exemption to stay at home if they could show they were indispensable to their family or business at a military tribunal. If this was refused, they had one appeal to a higher court. The majority of appeals were made on the basis of scarcity of labour, especially in agriculture, and the impossibility of getting others suitable to replace those who had been called up. Appeals from the local tribunals were heard at Dumfries Sheriff Court. Thomas Scott, a ploughman at Newmilns, Wigtown, appealed on the grounds he was the only ploughman on the farm. It was explained that the farms of Broadfield and Blackpark were also tenanted by the farmer, and a brother assisted in the work at Blackpark. A solicitor for the family said the father was in delicate health and the two sons worked the two farms with the assistance of their 60-year-old mother. The military representative, Major McPhater, said the advisory committee stated that if one son was left on a farm, the other had to go to war, so the exemption was refused. John Rennie, a mechanic and wood-cutter, from Acre Place, Wigtown, applied for exemption on the grounds he was the only support his elderly parents had. His appeal was supported by the town’s potato merchant, Mr McClelland, who stated he had an important government contract for supplying potatoes and needed Rennie to make packing cases for them. Mr Rennie said he also ran cinema shows at Wigtown, Newton Stewart and Whithorn, all the profits from which were given to funds for the benefit of the soldiers from the district. The appeal was refused. John Rodgers, a watchmaker and cycle repairer from Whithorn, appealed as he was the only support to his mother, 67. He said he had supported his mother for 20 years, and owing to her being mentally afflicted, it was impossible for her to live alone. If he went away, the shop would have to close. Total exemption was granted. George Drape, Ironmonger and saddler, Whithorn, appealed on the ground he was the sole support for his 75-year-old mother, who was confined to the house. His sister helped to look after the mother as Drape’s only other brother lived in Newcastle, where he had a large family to support and could do nothing towards the support of the mother as well. The family’s solicitor told the Military Tribunal the sister lived on a 270-acre farm at Kirkcroy and the brother also looked after the finances of the farm. One condition of her carrying on the farm after her husband’s death two years ago was the applicant should supervise and manage it for her. The applicant would rather not be there at all but he felt it was his duty to stay. Major McPhater advised the Sheriff that the appeal should be refused. But after Mr Drape said his mother had no private means, total exemption was granted. 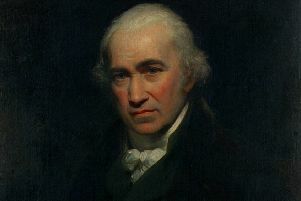 Samuel McConchie, who farmed at the Risk, Minnigaff, appealed for the temporary exemption of his son James, a shepherd, until the crops were put in, and he was granted exemption until May 15. Thomas Smith and Sons, who ran a nursery in Stranraer had appealed for exemption for their employee Thomas Baxter, as he was the only expert seed mixer in Wigtownshire, and therefore indispensable. But the tribunal endorsed the opinion of the local tribunal that Baxter was not employed in the seed growing industry, and the firm did not grow seed in bulk for seedsmen, so he was not exempted. Three months’ exemption was granted to James Hamilton, a cheese merchant from Stranraer to allow him to make arrangements before he left for the war. He had appealed to the Military Tribunal, who decided that he was not indispensable to the business he ran with his brother.